This must be a difficult time for New Jersey. You see, in addition to finding out that they're harboring the second most dangerous city in America (for the second year in a row), they've now got a traitor in their midst. His name is Joe Steinfield, and he is hilarious. Well, I guess that depends on whether or not you live in one of his satirical regions of New Jersey and/or take offense to being lumped in with "Canadians and Philly Trash" (aka Wildwood according to Steinfield's map. (click here for full map). 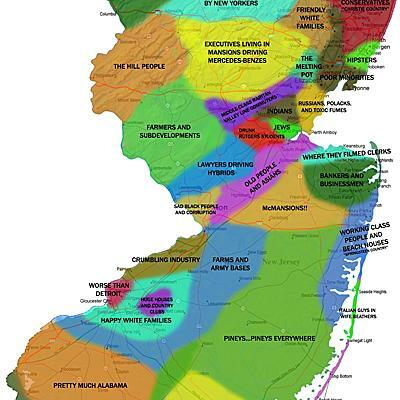 Earlier this week, Steinfield posted a carefully constructed map of New Jersey describing the various regions of the state according to their perceived stereotype. The map quickly went viral on Reddit, garnering almost one million views in just one day. Some of the descriptions are, frankly, spot-on, others are borderline offensive, albeit, highly amusing. The Keansburg area, for instance, is now "Where They Filmed Clerks," while Atlantic City is renamed to "Sad Black People And Misguided Tourists." The southern border of the state is referred to as "Swamps and Toxic Waste" and, in what is perhaps my favorite, the eastern area of Washington and Phillipsburg is simply described as "Hill People." 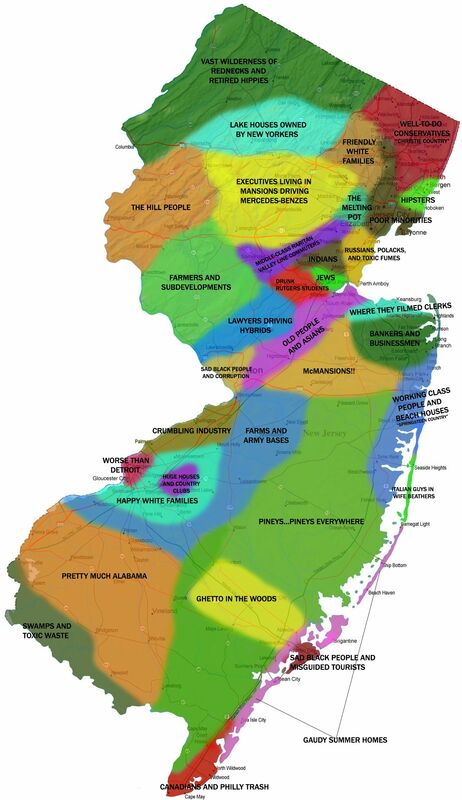 After NBC ran their obligatory "man on the street" piece asking natives their thoughts on the map (don't they know that's even worse for Jersey's image? ), Steinfield made a statement, "It was never meant to be taking seriously. I do regret that I offended a few people, however, for the most part, the feedback I've been getting is very positive." NBC also noted Steinfield works part-time for the Department of Environmental Protection, which, if I know anything about Jersey, means he'll be picking up trash on the AC Expressway from now until March.